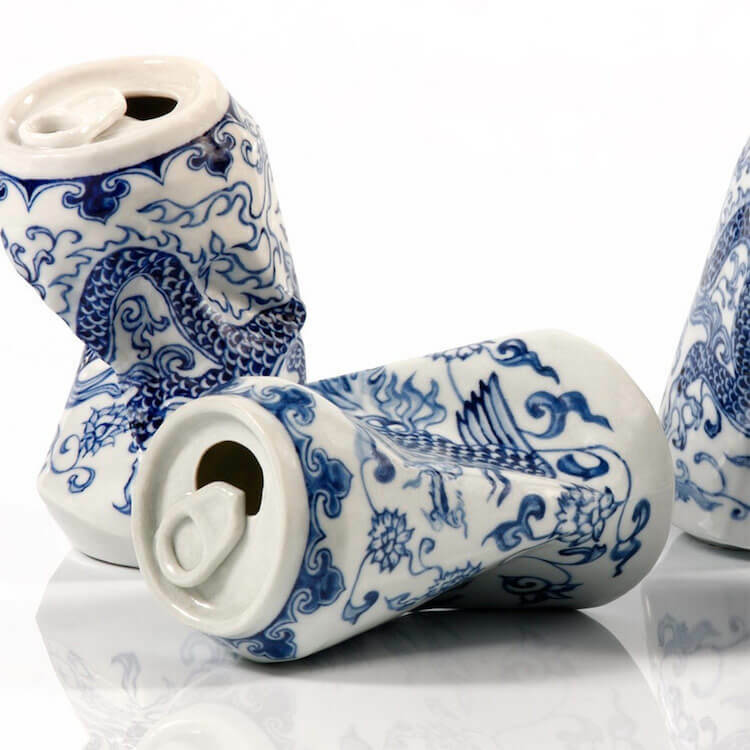 When you think about cans you have the thought of smashing them somewhere in your mind, right? It goes somehow naturally to smash it a bit (or a lot) after you’ve finished your drink. 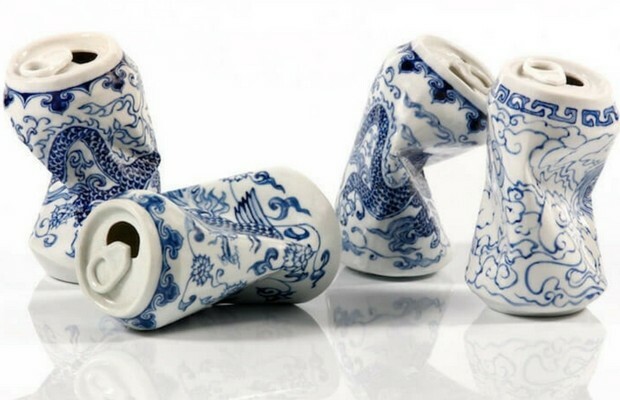 And when you think on Ming Dynasty porcelain, DO NOT SMASH IT alert goes hot red, doesn’t it? 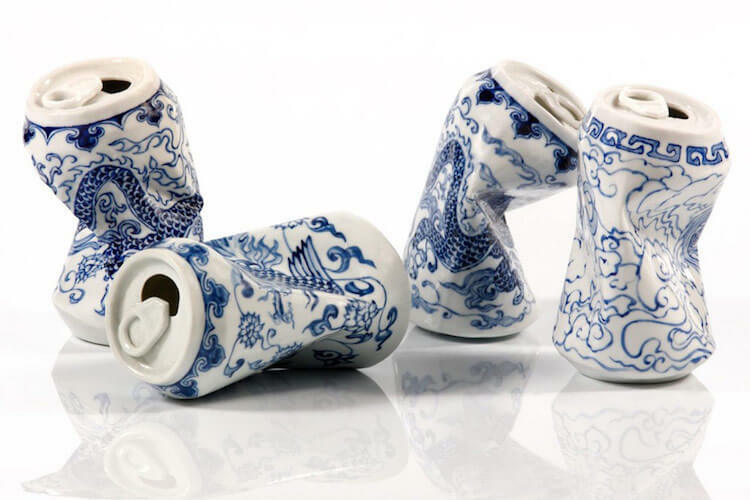 Artist Lei Xue with his sculptures is managing to mix this two notions in an intriguing way. 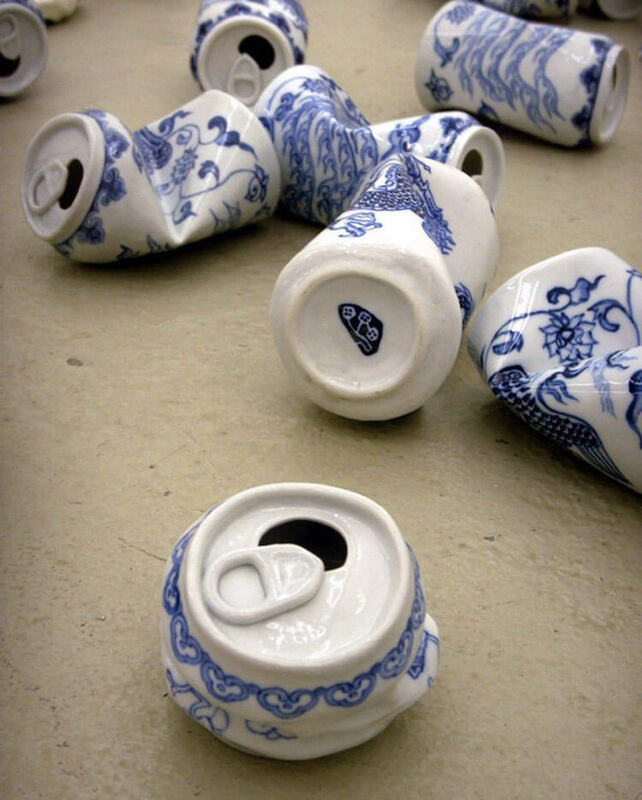 His sculptures present smashed cans but they’re made of white porcelain and painted with blue patterns and motifs obviously resembling Ming Dynasty highly appreciated vessels and other traditional ceramics. It’s an unexpected twist, for sure! When you look at this interesting series named Drinking Tea it’s creative and comic at the same time. 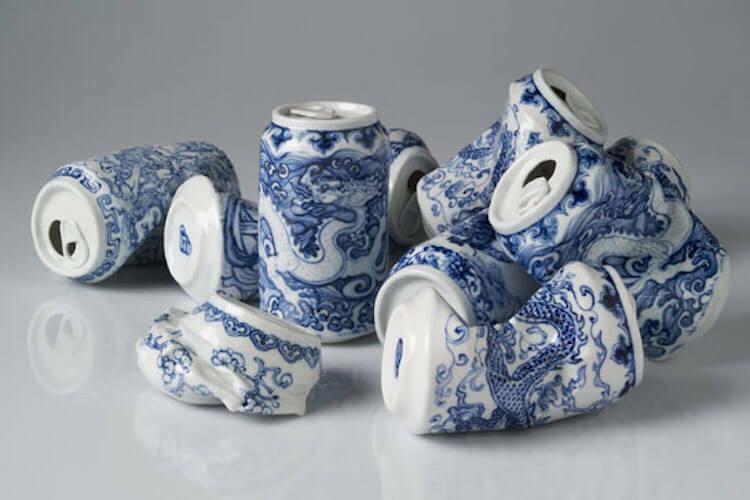 Xue is a Chinese sculptor, painter, photographer, and video artist and this is not the first time for him to experiment and explore the tension between past tradition and modernity. His choice of subject for this series is rooted in history. 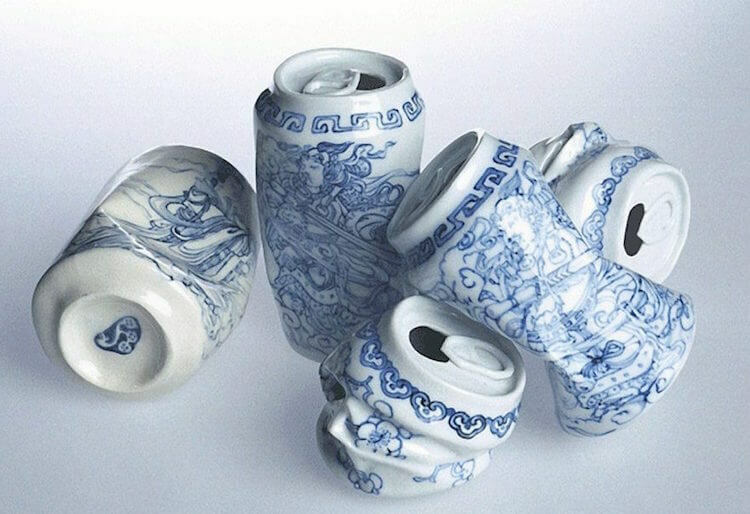 According to Gallery Martina Deterrer, “the human need for drinking manifests itself in the external form of the cans as well as in their design. 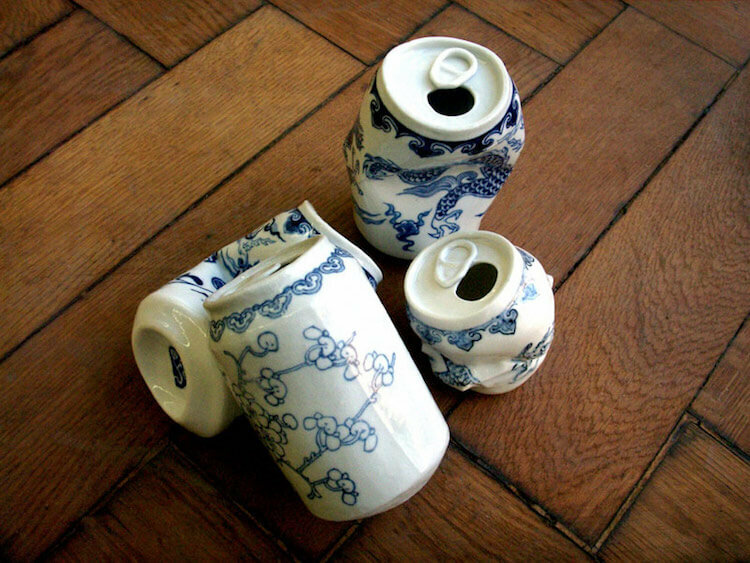 It is timeless and endures the entire history of mankind.” Drinking tea during the Ming Dynasty was nothing like today’s fast consumption of almost everything. He cleverly noticed this and presented through Drinking tea series. If you are interested in Xue artwork that you can see in the gallery below make sure to find more of his work and stunning handmade sculptures on Artsy. Also, visit Gallery Martina Detterer website. 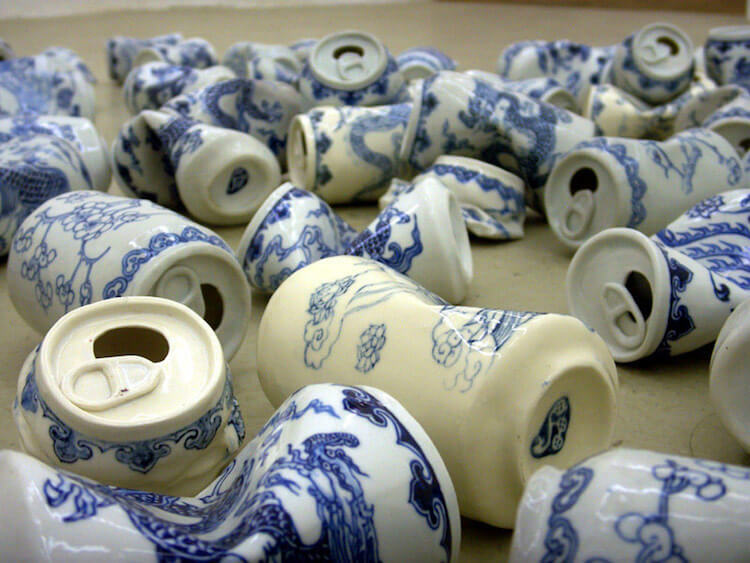 Today’s consumption is nothing like drinking tea during Ming Dynasty, right? When you look at this interesting series it’s creative and comic at the same time.